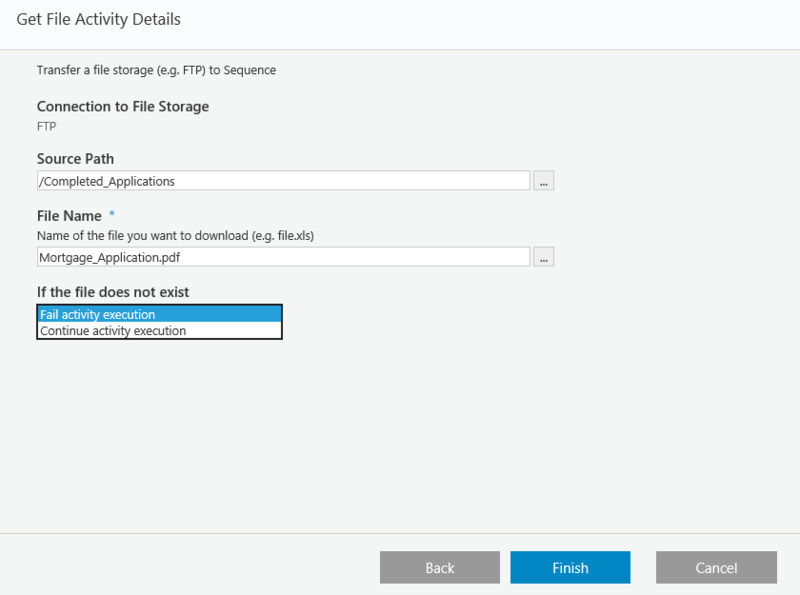 The Get File Activity imports a single file from an external storage system into Cora SeQuence. Path to the folder where you want to import the file from. It is appended to the connection you defined to the external storage system. You must use backward slashes (\) when you define the file name. The file that you want to import from an external storage system into Cora SeQuence. There are a couple of ways to define the file name.